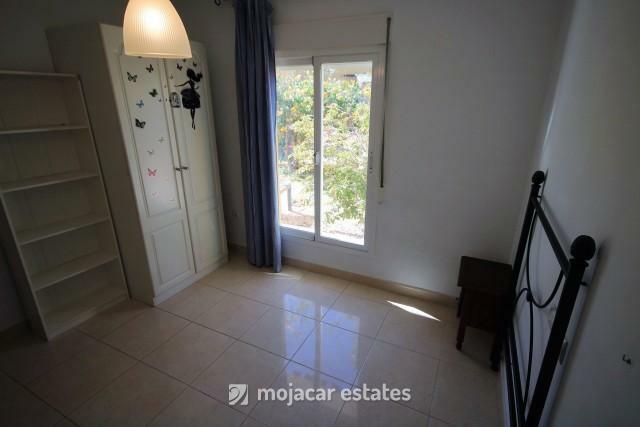 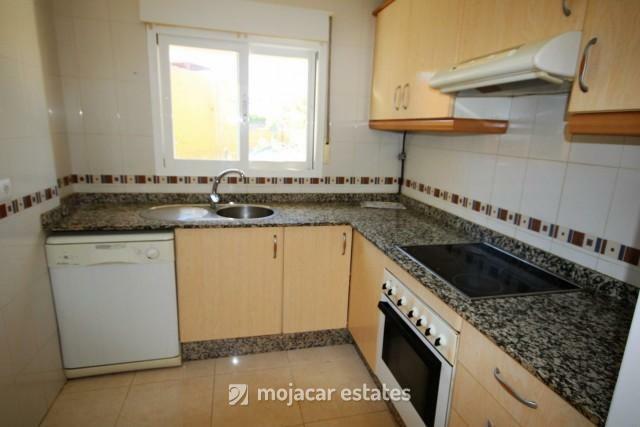 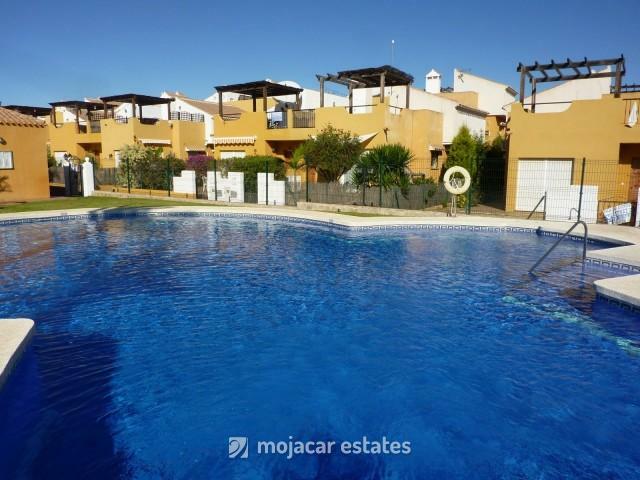 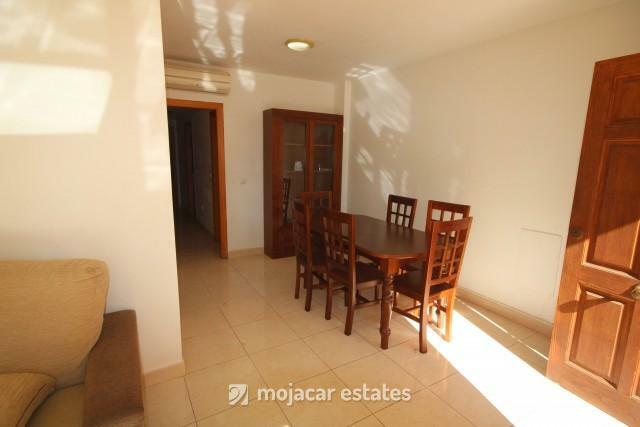 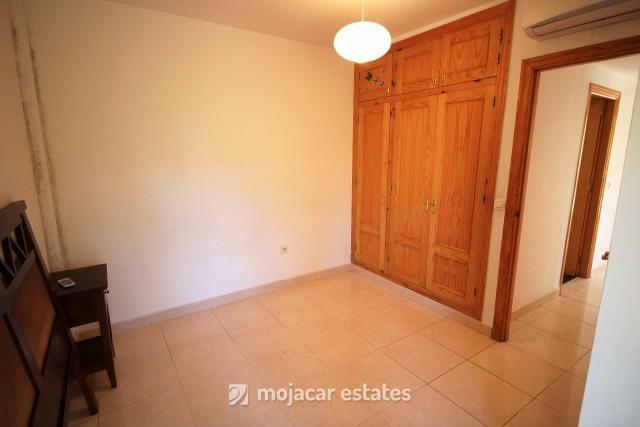 Semi detached townhouse on a corner plot of 225m2 with communal pool and gardens. 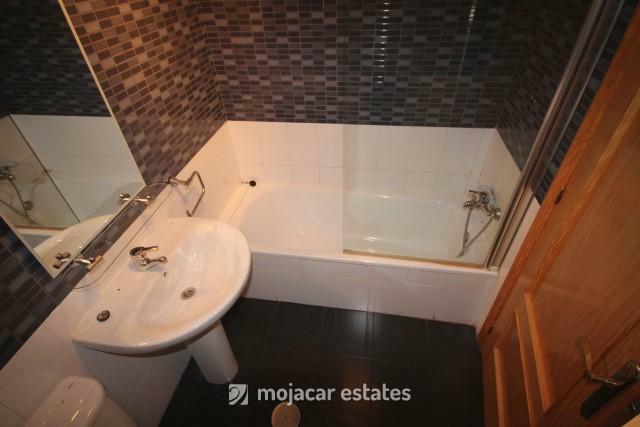 The property comprises on the ground floor of: 3 bedrooms with built in wardrobes, 2 bathrooms, fully fitted kitchen, lounge/diner with large windows onto the private garden. 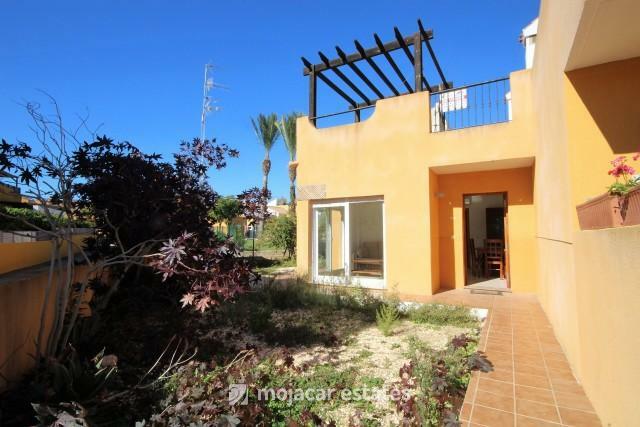 Exterior staircase to the roof terrace with an extra room of 11m2, which could be used as a third bedroom, or office plus a bathroom. 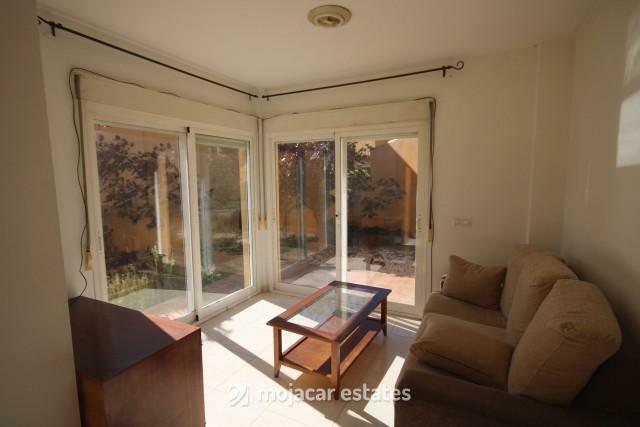 Built area of 87 m2 plus a solarium of 45 m2. 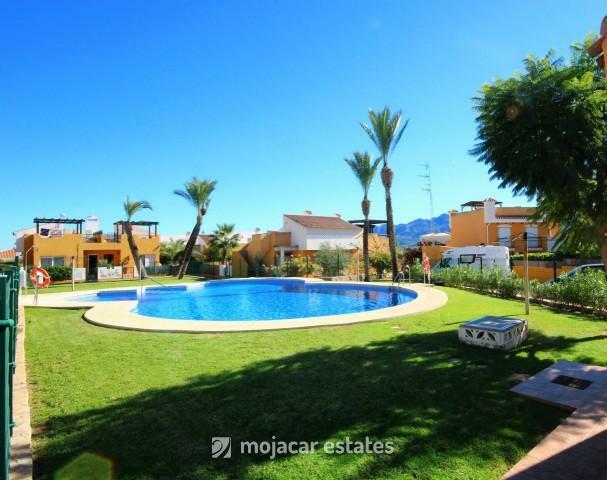 Large communal pool and gardens with nice country views. 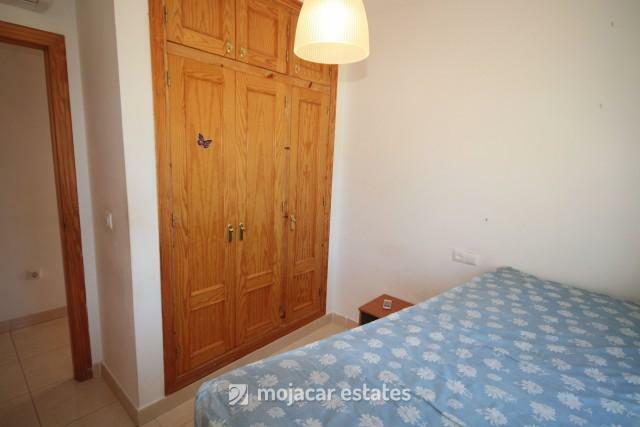 Los Cerezos is approximately 1km from the village centre. 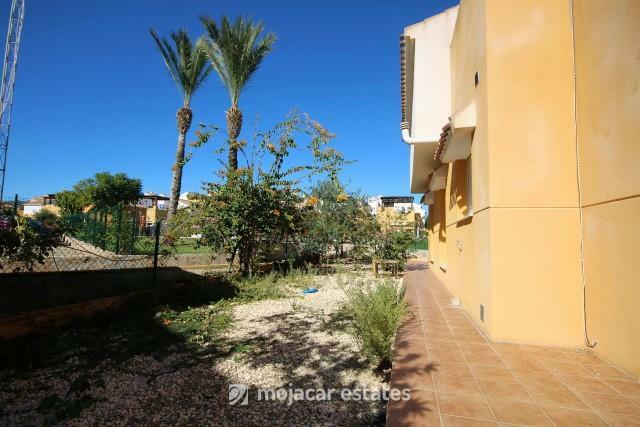 Los Gallardos offers shops, bars, chemist, medical centre, school and kindergarden. 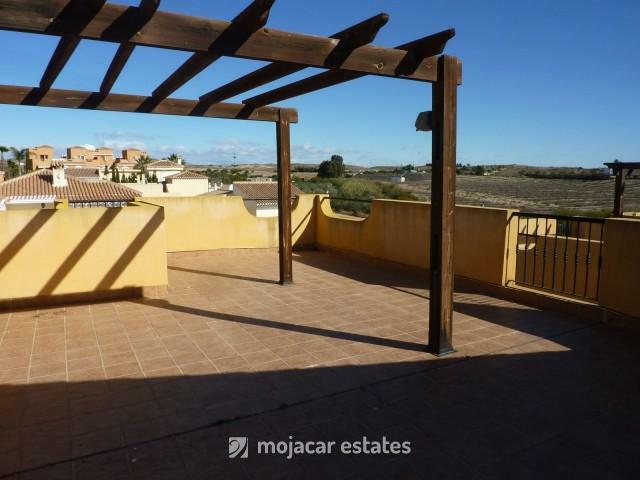 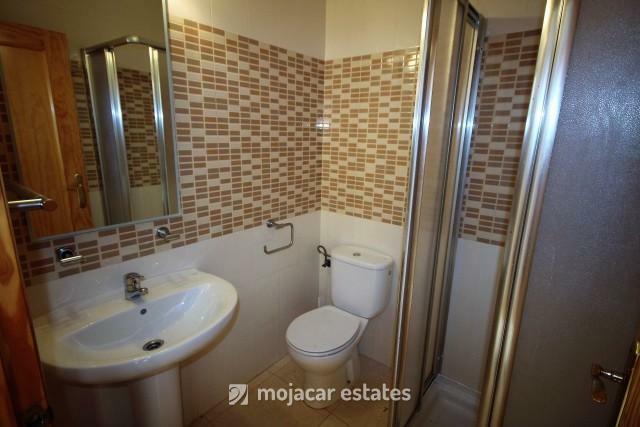 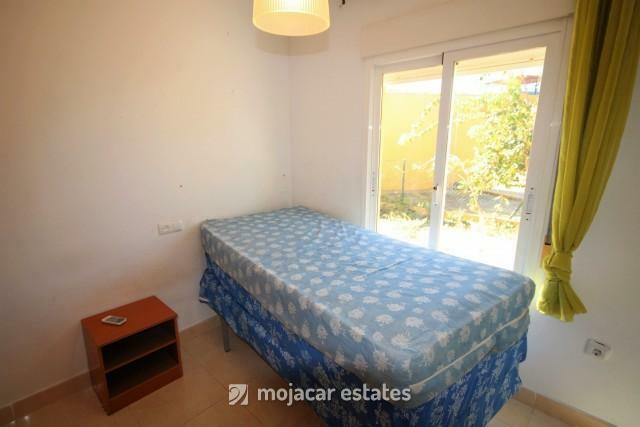 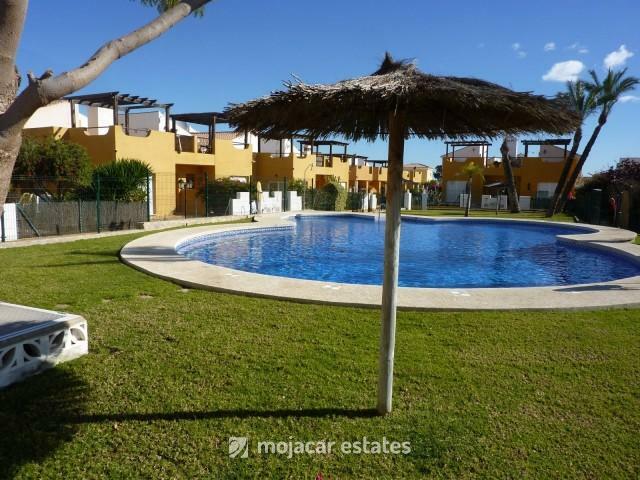 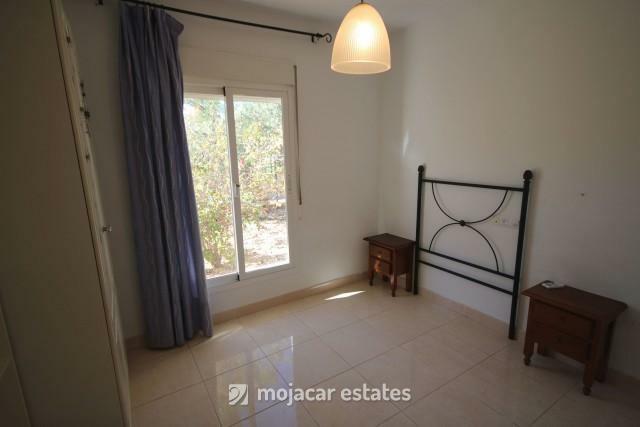 15 minutes drive to the beaches of Mojacar and Garrucha.